Designed from durable white plastic, this ergonomically designed tub rail from Drive Medical offers both stability and comfort for safe transfer to and from your tub. Its grip is comfortable and simple to use and its width adjusts anywhere from 2.75 - 6.5 inches. The product arrives easy-to-install and can be attached to your tub tool-free. This rail is ideal for use on fiberglass tubs. 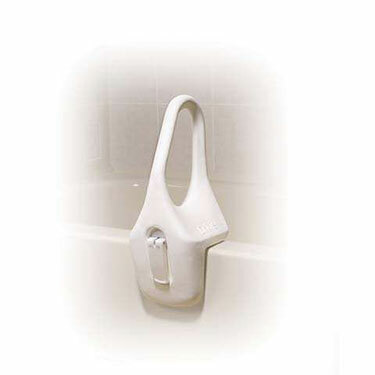 Installed onto tub quickly, easily, and most importantly, it is stable and secure. Pros:Easy installation, and it's not "hospital issued" in appearance.